This is a brilliant book. 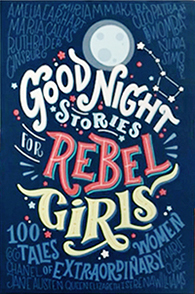 It is a precursor to other great books like She Persisted which tell the stories of history’s most famous and often forgotten women whose achievements have changed the world and inspired those around them. I loved the format of these stories. The one page biographies for each of these amazing women is a wonderful experience to read. They are told in the same vein of fairytales with the “There once there was a…” style introductions, but these stories are far from fairytales. Each of these incredible women have defied the odds and succeeded in their chosen fields, often when many, including many men, told them they couldn’t or shouldn’t. It is truly an inspiring read to see what these women have gone through and how they have overcome various obstacles and become stronger for it and achieved their dreams and their goals. Favilli and Cavallo have brought together 100 of history’s greatest women from around the globe, across fields, and throughout history and shared their stories with the world. The list of rebel girls include an A-Z of pioneers from Ada Lovelace all the way down to Zaha Hadid. You can’t help but get a bit emotional as you read these stories, strength and resilience of these women and girls don’t define them, but their passion and determination is admirable and empowering. These biographies are told simply but with power. From the very first page the preface lets us know that this is an important book, one that has brought understanding, hope and inspiration to many of the readers. It is a book filled with so many inspirational messages from a variety of fields and backgrounds. Each accompanied by a beautiful illustration by a range of female artists that capture who these fabulous women are and were. 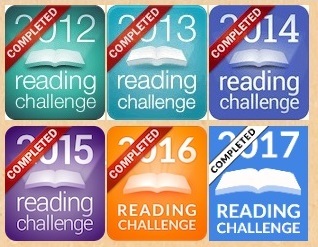 These are the kinds of books we need to keep creating. History has forgotten and pushed aside so many amazing women and their achievements, and there are enough of them throughout history to fill many more books to come. Something I can only hope continues to happen. Little Miss Sure Shot is a fictionalized account of the life of Annie Oakley, drawing heavily on the real timelines and events of her life. 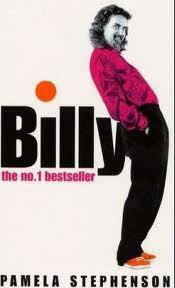 However, the book is not a biography – it invents situations, people she meets, and a myriad of conversations. Moreover, while the book is presented chronologically, apart from the prologue, it skips certain periods and attempts to focus on those that are especially vital, such as the early years Annie spent with Buffalo Bill’s Wild West Show, including the tours through Europe. A special feature of the novel is the framing of Annie’s loving marriage to fellow sharpshooter Frank Butler, whom she married at sixteen and remained married to for 50 years until her death. Frank was far more than just her husband – he was her manager (he gave up his own shooting for that role) and her constant companion. The novel closes with an epilogue in Frank’s voice, presenting an overview of their lives together and the circumstances of her death in 1926. Note: I was provided a copy of this book for review. Not knowing anything about Annie Oakley before starting this book I was not sure what I was in for but it wasn’t long before I became engrossed with the story. Marshall has been quite clever in his presentation of this book, stating clearly that it is not a biography, but it is also not a novel either. Somewhere in the middle is this book that looks at key moments in Oakley’s life, and explores her rise to stardom and life in the spotlight with a few fictional elements added. There is not a lot of dialogue or plot, and being a semi-fictionalised account of Oakley’s life it isn’t supposed to have a plot per se, but Marshall writes in such a way that it has a narrative feel which also makes the story flow nicely. I liked that it read more like a novel than a nonfiction biography, having said that the writing does have an informative tone to it mixes this with snippets of dialogue and scenes that balance it out nicely. Annie’s life is presented chronologically, though there are brief references to future moments or memories of the past, but Marshall connects these together smoothly and doesn’t jar the story with them. While Marshall admits this not a true biography, there is no doubting it has a great deal of information about Oakley’s life. Marshall explores Annie’s childhood and how she started shooting at 8 years old, and he also focuses intensely on her time with Buffalo Bill’s Wild West show. One of the great and consistent elements in the story though is the exploration of Oakley’s marriage with Frank. As her husband for 50 years it is wonderful to see their connection grow and the influence he had on her life. While the Wild West show was interesting, discovering about life during that time and the difference in society across Europe and America not to mention Annie’s place within them was fascinating. It was also wonderful to discover just how famous Annie was and the impact she had on the world. As a person she comes across as someone who is independent and knew what she wanted, and she was determined to be herself no matter what. Her strong ideals, ingenuity, and her desire that every woman should learn to shoot makes her a wonderful woman and key part of history, something which Marshall captures wonderfully. 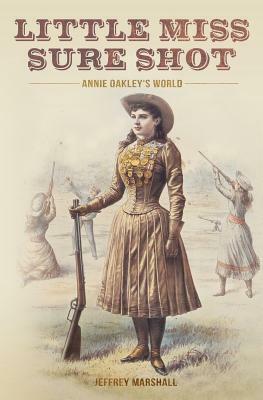 I really enjoyed this book and I loved learning about Annie Oakley and her life. The problem of not being a real biography means there is an uncertainty about certain facts and events, but Marshall’s recount about Annie’s life piques your interest and curiosity in just the right way to want to go and learn more about her. Knowing this biography is based on some element of truth though makes the sad bits sadder but the good bits greater and there is no doubt it is a charming and heart-warming story and one of admiration for Annie and the life she lead.